We’ve already started on our western loop of the Laamu trip, but before we get into anything new, we need to talk about our visit to Mundoo. Despite this being the smallest population in the atoll (just over 200 people), we spent a little longer here than the busier islands to the north, mainly cos that’s just how the ferry schedule runs. But, spending time within one of the smaller island communities was an experience we wanted after having only spent a few hours in Huvadhu’s littl’un, Kondey, last year (cos, again, y’know, ferries). 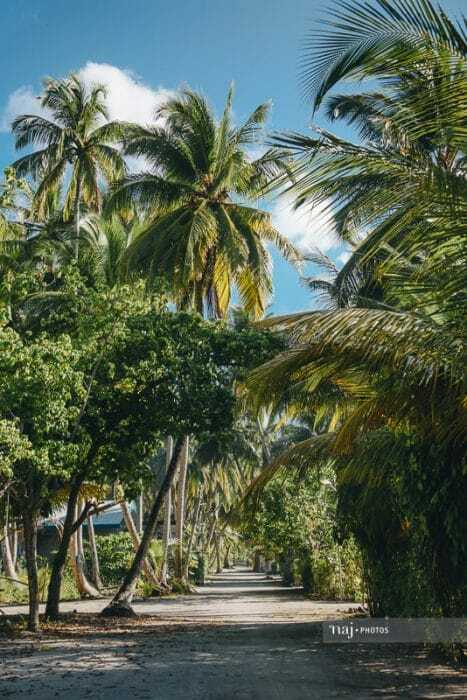 Mundoo is a narrow island offering broad views of Maldivian culture; a place where people grew up bathing in ancient relics, strolling down freshly-swept and vehicle-free streets, and where even the surrounding ocean currents are given nicknames. 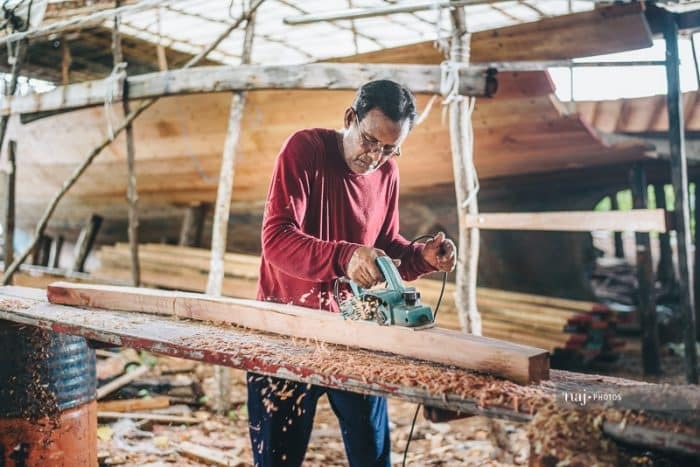 Our time was mostly spent observing the island’s solitary remaining boat-builder at work, bumping into old friends (small island, small world), and watching what seemed to be the whole population pass through Mundoo’s only cafe – ‘Javaa’. Now, for people who have clicked through from elsewhere to read the full post here (you’re the best ones), you’ll get more of our genuine thoughts on the island than casual browsers who have a tendency to take remarks out of context. Those genuinely interested in this project will understand that ignoring anything ‘sub-optimal’ during our visits will reduce it to little more than another PR exercise, and will render our work of little use to people in the future. Because, it’s difficult to talk about a place like Mundoo without a tinge of sadness. As with the rest of the islands we’ve been to, we met some wonderful people, enjoyed the serene atmosphere, and added greater richness to our understanding of Dhivehi culture, but the island’s dwindling fortunes remain always the elephant in the room (though the elephant itself considering moving to a new room in Fonadhoo). Mundoo is fairly well known (as far as these small islands go) as a place where people can find ornate evidence of more than a thousand years of Dhivehi civilisation. H.C.P. Bell came here to examine the ‘Budu’ge’ mound in 1922, as well as the particularly ornate carvings of the old veyo. Fifteen years ago, the population was three or four times its current size (a decent size in these parts). Then the tsunami came in 2004, taking seven of the islanders with it and scattering the rest across the atoll, with only a fraction ever returning. While the thriving community had long since consumed the bricks from the old stupa, the great deluge did irreparable damage to the beautiful old veyo, while the fallout has left a pattern of equally desolate looking coral-stone houses abandoned across the island. Just over two years ago, the President’s Office unexpectedly declared Mundoo to be officially uninhabited – a mild overstatement. 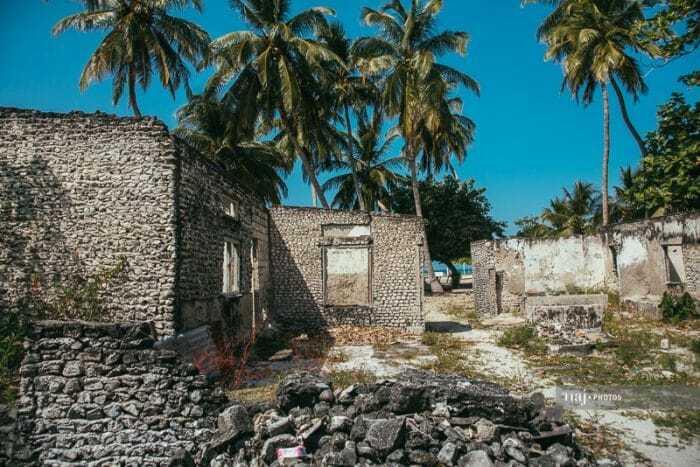 Soon, the mistake was corrected; Gaadhoo!…an admin error, it was the nearby and ever-so-slightly-smaller population of Gaadhoo that was to be evicted from their ancestral island. Mundoo breathed again, but the spectre of imminent depopulation, the scribble of a civil servant’s pen, still hovers over the island. 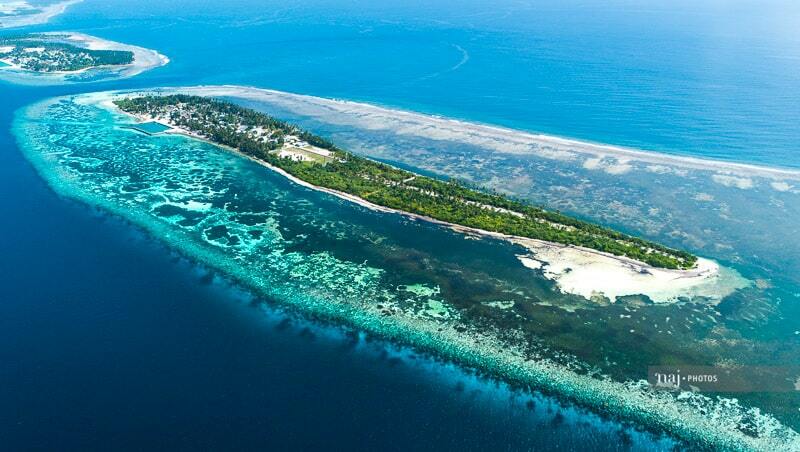 The government’s tharaggee splurge of the past five years barely touched Mundoo, though the work of the UNDP’s recent low carbon scheme can be seen. Even the inclinations of the incoming government would appear to lean towards more economically-sustainable migration to regional hubs. Just one older member of the community we chatted with speculated about the island’s resurgence. Some on the island talk of plans to leave, while most simply carry on island life with that classic Dhivehi combination of stoicism and smiles. Who knows, the people of Mundoo may have faced such crises multiple times over the past millennium (still waiting on those loamaafaanu blog plates), but the tide of history seems to be flowing against them this time. So, what we found in Mundoo is an island with a vast past, a present pleasant, but an unsure future.